Federal judge temporarily blocks Kansas' anti-BDS following challenge by American Civil Liberties Union. A federal judge on Tuesday temporarily blocked a Kansas law barring state contractors from participating in boycotts against Israel, The Associated Press reported. The American Civil Liberties Union (ACLU) had filed the federal lawsuit challenging the Kansas in October, saying it was representing a public school math teacher who was denied a state contract because she participates in the anti-Israel boycott. The judge granted the request from the American Civil Liberties Union to block enforcement of the Kansas law while the case proceeds. Crabtree found it is “highly likely” that the Kansas law is invalid. “A desire to prevent discrimination against Israeli businesses is an insufficient public interest to overcome the public’s interest in protecting a constitutional right,” Crabtree wrote, according to AP. 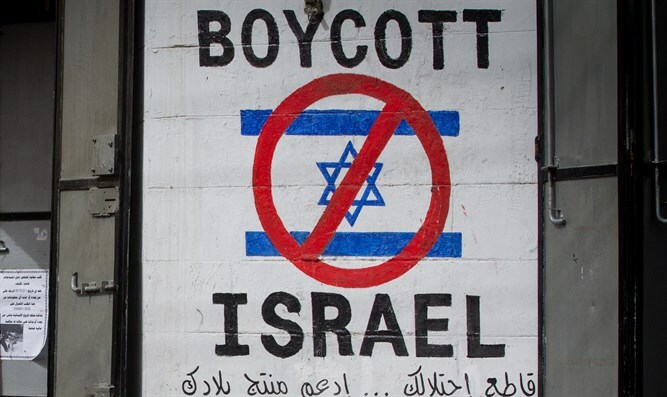 In recent years, 24 states have passed legislation against the anti-Israel Boycott, Divestment and Sanctions (BDS) movement. These include New York, California, New Jersey, Indiana, Florida, Tennessee, Michigan, Montana and Virginia. ACLU has also challenged a similar anti-BDS law in Arizona. The law, which was passed in March 2016, requires that any company that contracts with the state submit a written certification that it is not currently boycotting Israel.